Not too long ago we brought you a female only bonus for August and here is another that receives our bonus offer highlight honor. 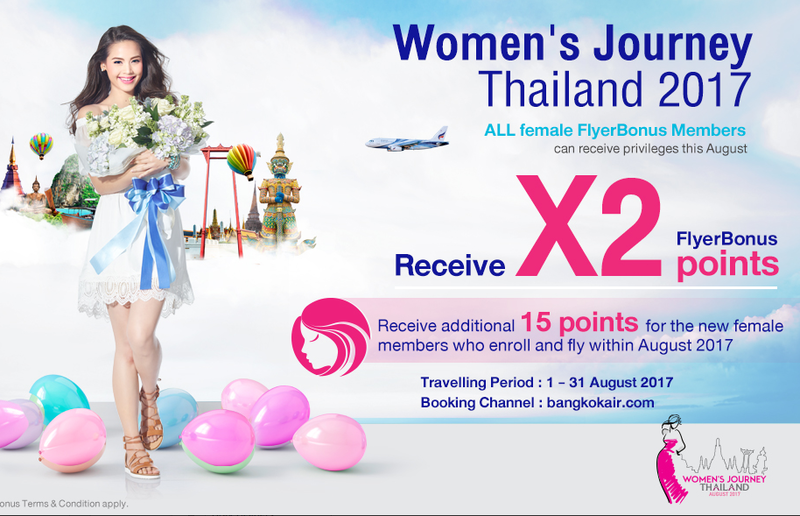 Any women who fly on Bangkok Airways during the month of August will receive double FlyerBonus points. Those who join the program and fly will earn an additional 15 bonus points. Other bonuses added today to check out are latest Ukraine International Flight Bonuses, EVA Air’s Kaligo bonus and Cathay Pacific’s Mandarin Oriental stay bonus.